During our 1 hour complimentary consultation there will be an extensive question and answer session which will provide a great deal of information as to how we can help you and your business. It will also provide feedback that will determine the level of services required to fulfill your needs appropriately and professionally. F.S. 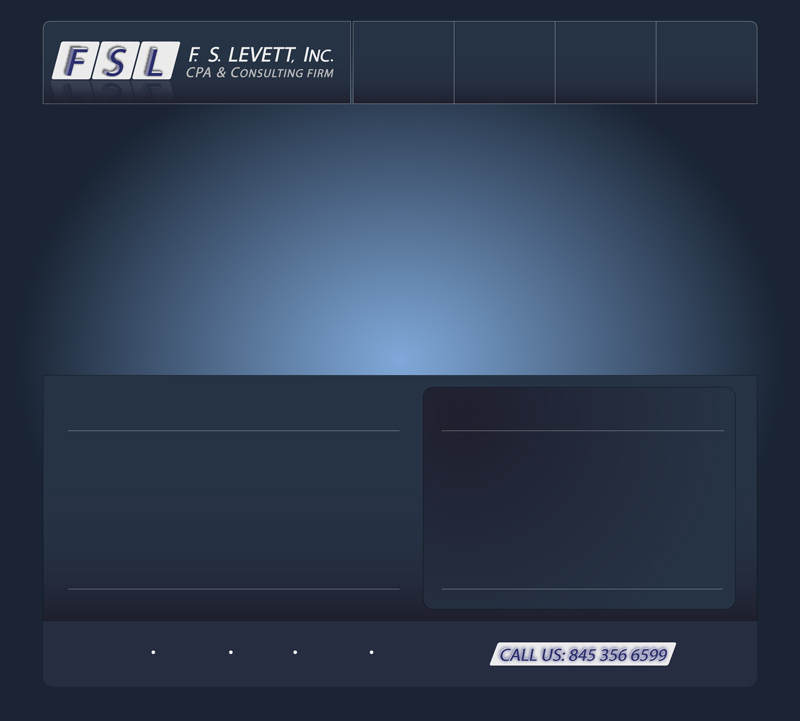 Levett, Inc. is a full service accounting, tax & consulting firm providing the highest level of quality and excellence.Our mission is to help our individual and small business clients achieve their business and personal goals by taking a proactive approach to their overall finances through the services we provide.